A double blessing: Rick Bragg’s writing with Jerry Lee Lewis as the subject. Yes, Virginia, there is a Santa Claus. I did not write to him, but he wrote to me last week. He doesn’t necessarily know when I am sleeping or know when I am awake. He does not necessarily base giving on whether we have been bad or good. He gives graciously and kindly and unexpectedly. My Christmas list was short and changing. Every time it rained, I asked for a new left windshield wiper. Doubting Santa’s existence or maybe just his perception, I went ahead and bought the windshield wiper. (It didn’t help at all, until I had my son Nate actually install it.) The other item on my list was Rick Bragg’s new book. Enough said. Since I read All Over But the Shoutin’ a few years back, I have been hooked. Rick Bragg, born just a few years after me, grew up rich. Only it looked poor, really poor. His mostly single mom, the subject of All Over But the Shoutin”, labored in the cotton fields and scrimped and struggled to raise her boys. If being from a broken home or a rough environment qualifies a person for government aid and explains a life of crime, Rick Bragg would be bucking for parole about now. But as Merle Haggard sings, “Mamma Tried.” But in this case, a good and godly mom, along with good grandparents, and a heritage of surviving against odds resulted in the best writer in the South today. The result is Rick Bragg and his all too short list of book titles and his delightful monthly article at the back of Southern Living magazine. For manly readers shy of flipping through Southern Living, seeing Bragg in that magazine is kind of like attending a Sunday school class taught by William Faulkner. In this case, Bragg steps out beyond, but not away from, family and writes about the legendary singer Jerry Lee Lewis. The point being that poor, rural, struggling country folk of the South have their bards telling their stories, singing their hopes, fears, and failures, and reaching levels of success only dreamed of and depths of failure ever all too near. Rick Bragg signs a copy of his new book, just like he did my copy! Before I begin reading this book, which I am saving for the Christmas break, I want to survey the topic of country music and its growth from east to west across Tennessee. This is not a complete analysis of country music’s growth and development, but it might unlock a key or two to understanding. There will be three points, like Dickens’ three ghosts, to unveil the story. Historians always keep finding deeper and deeper roots to events. There is no complete explanation of country music without crossing back over the pond and trailing up through the glens and dales of Scotland. Take my word for it and fast forward to Bristol, Tennessee in 1927. Look to the upper right hand side of the state to find Bristol, the birthplace of country music. Music was prevalent throughout rural America. From Gospel hymns to barn dance tunes, people played fiddles, banjos, and guitars, tapped their feet to the rhythms, sang along, or danced to music. Then came the development of recording devices. A. P. Carter took his wife Sarah and sister-in-law Maybelle to Bristol to give this record making idea a try. This trio created, developed, enriched, compiled, and defined country music. They were super-stars in their day, with an impact that has yet to be diminished. A. P. Carter traveled the countryside collecting songs. Sarah was a defining singer with a mournful voice that echoed the pain of her listeners. The most successful of the three, Maybelle Carter, developed a style of guitar picking known as “the Carter scratch.” She re-organized the Carter family after Sarah, to use a term from the movie “O Brother Where Art Thou?”, “runn-oft” and A. P. retired, depressed over his estranged wife. Maybelle (seated left), A.P. (center), and Sarah Carter (seated right). Mother Maybelle sang alongside her daughters. In time, daughter June rescued and married Johnny Cash. Hence the story goes on. Another giant puzzle piece in the Bristol, Tennessee story is the recordings of the other super-star Jimmie Rogers. The Mississippi Blue Yodeler, fighting off a death sentence by tuberculosis, sang songs of home, trains, love, lust, and life that inspired every country singer for at least 2 to 3 generations. From Ernest Tubb in Texas to Hank Snow from Canada, young boys bought guitars, practiced yodeling, and plotted how to follow the pathways of the legend and hero, Jimmie Rogers. His short, troubled life of sorrow was a metaphor of the hardships of life, largely self-imposed, endured by many a country singer, and not all that different from many of those who listened to the records. Jimmie Rogers, the Singing Brakeman. From the records going back to the days of the Carters, Jimmie Rogers, the Delmore Brothers, Vernon Dalhart, and others, to the next phase of country music, the radio became the Internet, iTunes, and Spotify of the age. Barn dances went from being occasions to being set venues for entertainment. Across the country, and not just in the south, weekend performances of country, or as it was often termed “hillbilly,” music was heard by many a battery-powered radio at nights in the hills, hollers, and valleys across rural America. Even those who had gone to the city in search of better jobs found that yearning for home at least partially pacified by radio barn dance programs. In time, one show became the most famous of all. 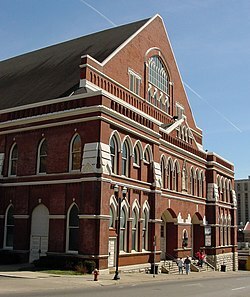 It was a barn dance program on WSM in Nashville, Tennessee, that was performed at an old church building that was called the Ryman Auditorium. The announcer, Judge George D. Hay, said one night at the beginning, “You have been listening to the Grand Opera, now stay tuned to listen to the Grand Ole Opry.” The name stuck. A legend began on November 28, 1925. The Opry is the longest running radio program in America. It is still the “Mother Church of Country Music”; it is still the longed-for starting point for the careers of singers; it still defines a singer as truly country. Many a singer pays homage to the Opry, even if only on occasion. Interstate Highway 40 between Memphis and Nashville is aptly term “Music Highway.” You can’t travel that road without sensing the music legacy permeating that area. (Honestly, can you pass the Carrol County sign without thinking of Porter Wagoner’s song?) Memphis has its own rich and varied story about music. Or its many stories. The history of Memphis is more tied to the cotton culture of the old South; hence, it is more tied to slavery and the contours of the mixing of races and cultures in the South. Just southeast of Memphis, in nearly Oxford, Mississippi, William Faulkner explored that interaction of races again and again. Musically it manifested itself on Beale Street. Memphis gave birth to the blues and to varieties of country music. B.B. King and Elvis Presley are patron saints in the shrines in that town. And then there was Sun Records. It was here that musical careers, styles, and legends were begun. Sun Records was where recording sessions were held featuring some young guys named Elvis, John R. Cash, Carl Perkins, and Jerry Lee Lewis. 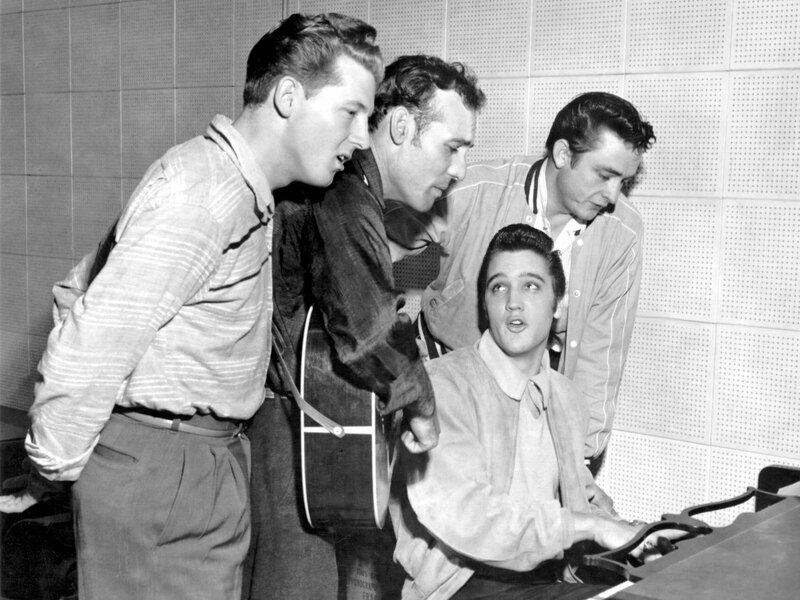 Jerry Lee Lewis, Carl Perkins, Elvis Presley (seated at the piano), and Johnny Cash. Thus my pre-review of Rick Bragg’s new book. Advancing God’s Kingdom is a passion for Christians. We are now entering into a season filled with reminders of God’s abundant blessings (Thanksgiving), Christ’s Lordship (Christ the King Sunday), Advent (preparation), Lessons and Carols, Christmas (Christ’s nativity), New Year’s Day, and Epiphany. A central theme of all these celebrations and times of corporate worship is God’s Kingdom advancing. The victory that is found in the Christian faith is celebrated in this season with more emphasis, or the right emphasis, than normal. Last night, some of the children and adults of our church worked to pack boxes for Operation Christmas Child. Across the United States, Christians pool lots of small items to be sent to children around the world in honor of Christ’s birth. Small toys, candy, pencils, paper, soap, and toothbrushes are treasures to children in many countries. The goal is not simply giving gifts, but opening the door to telling these children and cultures about Christ. I recently read some remarkable things about the spread and growth of Christianity from the book Discovering God by Rodney Stark. First of all, Dr. Stark is a sociologist who has written some of the best studies on church history in our time. Among his books are such titles as The Victory of Reason, The Rise of Christianity, and God’s Battalions. Stark synthesizes a wide range of research from historians and filters it through his field of sociology. He doesn’t mind standing alone or nearly alone in his conclusions. 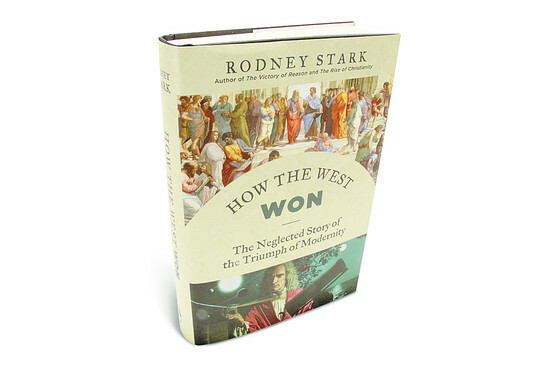 His most recent book, which I am currently reading, is How the West Won: The Neglected Story of the Triumph of Modernity. Second, Stark deals with Christianity as a cultural force and not merely as a religious compartment. Like Abraham Kuyper and Christopher Dawson, Stark sees the impact of Christianity on a wide range of areas of life and thought. Politics, economics, family life, urban life, education, and philosophy are all part of a package deal. Third, the book Discovering God is a survey and study of world religions. Christianity is just one chapter. The book is subtitled The Origins of the Great Religions and the Evolution of Belief. The chapters include primitive and ancient religions, religions in India and China, and Islam, along with Christianity. I don’t agree with all Dr. Stark says, but I have found this book the most useful resource I have found for teaching my World Civilizations I class. What I would like to focus on is this: Stark’s ideas about the growth of the early church and the 350 conquest of the Roman Empire by Christian conversions and thought. I want to discuss two related points: the growth of the church and the nature of conversion. Stark believes that the Christian community grew at about 3.4 percent a year. You can consult the book itself for the charts and graphs and details. The model makes sense in terms of the Christian community growing from a few thousand in the beginning to over 31 million by the year 350 A.D.
At issue is the place for revivals and mass conversions on the one hand and sociological patterns on the other hand. Christians have to think Biblically. The Bible has to be foundational and determinative for our doctrines, even for our doctrines in regard to historiography. In other words, the historian, as well as the pastor, has to be convicted and convinced by Scripture alone. But Scripture never is alone in a total sense. I read the Bible in English, in particular translations, with chapter and verse numbers inserted, in a 21st century American context. When Scripture makes reference to lions, lambs, serpents, rocks, trees, and other phenomena, I step outside of the pages of the Bible to define those things. I borrow constantly from grammar studies, literary devices, history, sociology, biology, anatomy, philosophy, and other disciplines to interpret the words I read in the Bible. Biblical truth and foundations are unchanging, but my understanding and perspectives constantly change. At issue is how to interpret the Bible and religious experience in the light of sociological standards. I have no doubt that God could convert entire cultures or large groups en masse, instantaneously. I have no doubts about revival being a means God can and does use. I have no doubt that God is able to so radically change a country like Iran that it could be thoroughly Christian by 8 P.M. this evening. The question is this: Does God work in this way? And does the Bible teach that this is the way conversion happens? Many of the great revivals in history were more exactly recommitments. The preaching of Edwards and Whitefield in the American colonies did not convert people from Buddhism to Christianity. People were converted, lives were changed, and the faith grew. But these were mainly, almost totally, people who were already professing Christians or were at least nominal Christians. It is similar to lots of church growth in our time. When a church grows from a few dozen to thousands of people, most of that growth is from church to church, from nominal to committed faith, and from shifts in demographics. True growth in the church may well come more often from the slow, steady beat of Biblical life and teaching. Children grow in Christ, although there are fits and starts in the process. People get saved along the way and some persevere, indicating that the salvation experience was the real thing. If American churches could begin growing at the rate of 3.4 percent a year in terms of real growth, we would encompass the nation and the globe in a few centuries. So, borrowing from the historians and theologians, we should pray for and work for revival, reformation, and renewal. But God will unfold the answer not in a mass revival, but incrementally through faithful believers persevering in teaching and living the Gospel. Judgment begins with the household of God, and faithful churches plugging along, teaching, discipline, mentoring, and slowly changes lives and families are a long term pattern for world and culture change. But when viewing life from a sociological perspective, what does this look like? Sociology need not presume to know the work of God’s Spirit on a person. They look for the trends, the patterns, the methods of changes in groups. I think Stark’s observation is incredible. C. S. Lewis’ book Surprised by Joy is a great example of someone whose ties to other Christians came to outweigh his ties to atheism. This idea also says a lot about the role of the church and the Christian community. Conversions are always the story of a person leaving the world to join the church. It is a transfer of kingdoms, of going from the kingdom of darkness to a kingdom of light. It is the life of the Christian community that draws people into embracing the Christian walk. Even the prisoner in solitary confinement who is converted transfers his allegiance from one community to another, even though neither is physically present. This entails the Christian community living the faith. It is a doctrinal purity that is acted out in changed lives. It is not simply intellectual (a Reformed danger) or social (a danger in many growth-driven church communities). It is a combination of what Christians believe, why they believe such, and how it impacts their lives. It is salt and light drawing people from deacy and darkness. New Christians are often baptized pagans. In a real sense, they are saying, “I am saved, now what?” If the church is not answering the last question, the “convert” reverts back to paganism as soon as the waters of baptism dries. 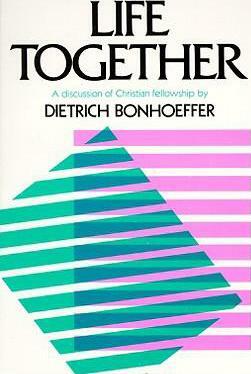 This is why the message of Dietrich Bonhoeffer’s book Life Together is so critical. This is the importance of discipleship of the converted, of fellowship, of worship in the formal sense being a practice of the forms of everyday life. When I am drawn socially to God’s people, I grow in Christ. When my ties to nonmembers is stronger, my walk is weakened. Nothing that Stark says or implies weakens the need for personal commitment, internal conversion, growing in a personal relationship with Christ. But the Christian life is communal. Baptism unites us to the body of Christ and Communion itself is horizontal with other believers as well as vertical with the Triune God. Max Hastings has advanced from an “also ran” to the top tier of favorite historians. He is what I want to be when I grow up. Catastrophe 1914 was surely good enough on its own to put Hastings and his books on my “must read” list. That means that I am now buying, planning to buy, and conniving to acquire all of Max Hastings’ writings. Being a bit picky about the collecting, it also means that I want hardback versions with dust jackets in “like-new” condition for really cheap prices. (That last condition is dictated by necessity, not desire.) By the way, a big thanks to Jeff and Kris Bruce for picking up copies of two Hastings’ books. They got me a copy of Retribution: The Battle for Japan 1944-1945 when they were at Dickson Street Books in Fayetteville, Arkansas and a copy of Inferno: The World at War 1939-1945 recently when they went to Little Rock. When I saw the book some years ago, I wondered “Why another book on Churchill?” I know I have read over a dozen books about Churchill, all of which emphasize his insight before and leadership during World War II. I have about a dozen books by Churchill, including his six volumes on World War II. (I can never forgive myself for not buying a fine edition of his four volumes on the Duke of Marlborough, his distinguished relative, which I once saw at an estate sale.) I have another dozen or so books about Churchill as well. As extensive as my collection is, it is only a fraction of what is out there. 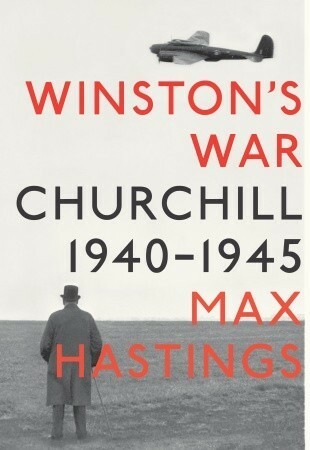 In this case, Max Hastings himself, rather than Churchill, who compelled the buying and reading of this book. It is outstanding. The first major point I have gotten out of the book concerns the views people have or had of Churchill. Because I think him great and am not alone, it is easy to imagine that peers and people recognized his brilliance and gifts from the beginning of World War II. His hold on political power was tenuous all along. Add to that the nature of the British system. He was not like an American President who automatically holds office for a set amount of time. Churchill presided over a coalition government. He himself had switched political parties several times. People who knew him well or who had to work with him often either despised him or often doubted or questioned his judgment. The voting public in Britain, as later shown when Churchill was bumped out of office in May of 1945, was not always behind Churchill. British troops awaiting evacuation on the sands of Dunkirk. Secondly, he made some major blunders in leading Britain. Great men and good leaders often make horrendous mistakes. In a major case, Churchill’s wishes and plans were circumvented by others around him. Dunkirk was an amazing save on the part of the British military. Cut off by the German armies, a large British contingent faced possible annihilation by the Germans. By the grace of God, the Germans continued in pursuit of the French army rather than focusing on the British troops. Also, the German Luftwaffe blundered the opportunity to finish off the British. Most important, the British mobilized their navy and commandeered all available ships and rescued their army. Sometimes a retreat or a rescue is a victory. But amazingly, Churchill wanted to start putting British troops back into France soon after Dunkirk. From the perspective of that time, with France having held out against the Germans for four years in the First World War, the idea of the imminent fall of France was beyond belief. Reintroducing British troops in western France would have replicated the Dunkirk escape at its best. Most likely, the British army would have been destroyed right alongside the French army. Churchill was consumed with the idea of unity and solidarity with France. Thankfully, his good motive and conviction were overturned by wiser heads around him. Third, it is astounding, beyond belief, that Churchill was unswervingly commited to holding out against Germany after the fall of France. 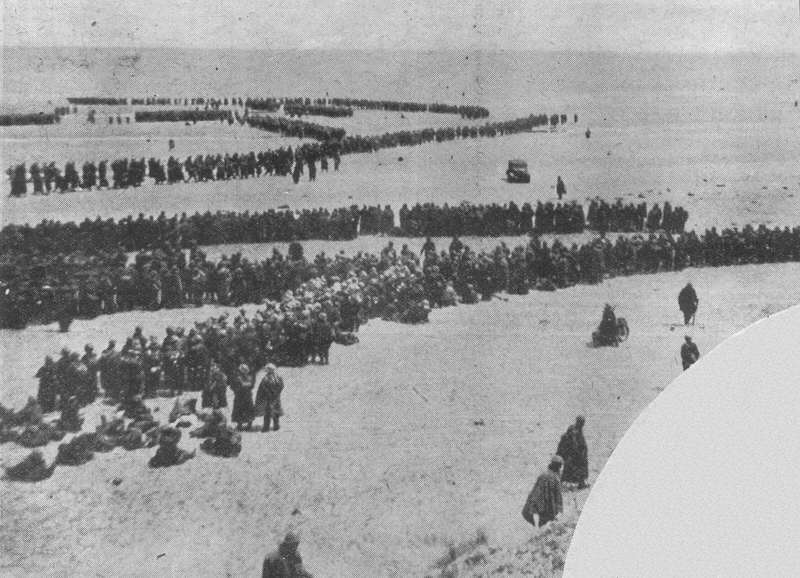 Man to man, the British could not have mobilized an army the size of Germany’s. In the French campaign, the British had 10 divisions alongside France’s 90 divisions. This combo caved in before the German juggernaut (I love getting to use that word). After Dunkirk, the army was intact, but much equipment had been abandoned. If there had been no Churchill, Britain would have been led by Lord Halifax. Halifax, along with many others, would have offered for ending the war, making a deal with Herr Hitler, and conceding the Christian heritage of Western Civilization. Even when the Germans turned east and attacked Russia, Britain’s immediate prospects were not rosy. Churchill, like many others, assumed that Russia would be defeated by Germany. Look at any map of the eastern front in 1941 or 1942, look at the number of Russian prisoners taken, and look at the many other details. Russia’s survival and triumph is as astounding as is Britain’s survival. He knew, as history proves true, that America’s entry in the war spelled the ultimate defeat of the Axis powers. But 1942 was a bad year for Churchill. Britain took some severe hits that year. The fall of Singapore, with the surrender of about a 100,000 British troops (background to the Bridge over the River Kwai and To End All Wars movies), was a devastating and unexplainable loss. Churchill’s political clout was fading. He had suffered a near heart-attack while in America. The British were struggling to hold North Africa, and American intervention was delayed in arriving. Through it all, it was the rhetoric of Churchill that sustained Britain. That is another installment as I continue with this book. Books written by, contributed to and edited by, and often taught by Dr. Louise Cowan. We have had a very consequential election this past week. (And I am still celebrating the results.) But the nation is only minimally changed by politics and politicians. Whether good or bad, liberal or conservative, effective or incompetent, political leaders are like canoeing. You have a paddle, but it can only direct the boat with the currents. Paddling upstream is a metaphor for being totally ineffective. The changes in our nation and culture will be effected somewhat by what happens or doesn’t happen in Washington or our state capitals. The real force for change is the culture. The classroom, the pulpit, and the keyboard are all more central, more important, more dynamic for cultural change than anything that happens in the halls of Congress. The role of the family, the congregation, and the community, likewise, are all central to the direction of the nation. The right books and the classics will not save our civilization. The brutal Assyrians amassed the greatest library of the ancient world. The Nazis never lacked cultural refinement as they looted the art museums and collections all over Europe. The right books and a foundation in the classics will refine, smooth out, enhance, and beautify a good, humane, and Godly culture. Shakespeare and Faulkner won’t save your soul, but they both can widen the vision, enlarge the heart, and fill the deeper longings within a good and Godly culture. Dr. Cowan, now in her late nineties, continues to lecture on poetry and literature. I have recently had the honor–once again–of writing about a great teacher, scholar, and writer, Dr. Louise Cowan. The article can be found here at the Voice of the South website. For those who squinch their eyes to read the titles in a picture featuring books, I will make the task easier. Now, I cannot begin to list all the titles on the shelves back behind the frontpiece. You will have to visit my heavy-laden bookshelves in my ever-cluttered office to see those. But here are the titles from left to right, from bottom to top, of the books seen above. The Fugitive Group by Louise Cowan. (The brown book lying flat.) This book grew out of Dr. Cowan’s dissertation on her teachers at Vanderbilt University. This book is absolutely essential to anyone pursuing studies in Southern literature, the Fugitive poets, and the Agrarians. The Southern Critics by Louise Cowan. (Small tan book lying flat.) This short study is “an introduction to the Criticism of John Crowe Ransom, Allen Tate, Donald Davidson, Robert Penn Warren, Cleanth Brooks, and Andrew Lytle.” When I start a college–in my imaginary world–the study of these literary men and this introduction will be required of all students. 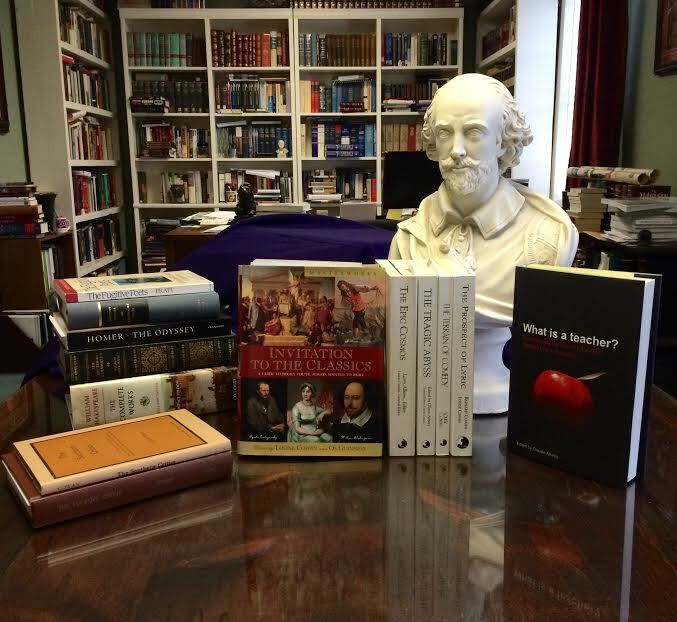 The Complete Works of William Shakespeare. (Big colorful book at the bottom of the stack at the back.) Dr. Cowan has taught Shakespeare and written quite a few essays on Shakespeare’s plays. As it happens, my Humanities class is currently working through several of Shakespeare’s tragedies (Macbeth, Hamlet, and now, King Lear). Brothers Karamazov by Fyodor Dostoevsky. Dr. Cowan has taught classes on Russian literature, including and emphasizing the works of Dostoevsky. Not only has that Russian impacted her teaching, his faith impacted Dr. Cowan’s commitment to a Christian view of things. The Odyssey by Homer. One of the most important essays by Dr. Cowan is “Epic as Cosmopoesis.” She has heavily emphasized the foundational importance and application of the great epics of the Western tradition, beginning with Homer’s two epics and Virgil’s Aeneid. The Fugitive Poets by William Pratt. This is a great collection of the poems by Ransom, Tate, Davidson, Warren, and others of the Fugitive movement. Dr. Cowan studied under these men and has written about and taught from them throughout her career. 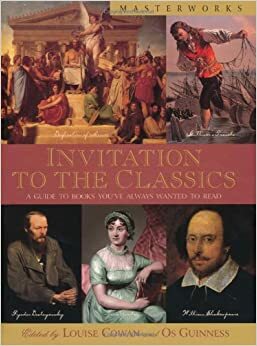 Invitation to the Classics: A Guide to Books You’ve Always Wanted to Read, edited by Louise Cowan and Os Guinness. (Colorful standing book with pictures of Dostoevsky, Jane Austen, and Shakespeare seen on the bottom of the cover.) This book first introducted me to Louise Cowan. This is an absolutely essential collection of short essays about the great literary classics. The contributors include a number of Dr. Cowan’s former students, along with other literary thinkers, such as Leland Ryken. I have read repeatedly from my autographed copy of this book. 1. The Epic Cosmos, edited by Larry Allums. This book contains Dr. Cowan’s essay “Epic as Cosmopoesis.” I re-read that essay every year or so as I try to grasp and teach epics. 2. The Tragic Abyss, edited by Glen Arbery. Too often people think tragedy in literature means a story where something bad happens. That is not the nature of tragedy (as a literary genre). This is a great book. 3. The Terrain of Comedy, edited by Dr. Cowan. Likewise, people think comedy in literature means something funny. There is much more to it than that. The Bible, for example, is a grand comedy, with particular books like “Ruth” or the Gospels being comedies within the comedy. 4. The Prospect of Lyric, edited by Dr. Bainard Cowan, the son of Louise and Donald Cowan. This book on poetry is itself at many points poetry. The essays by mother and son (the Cowans) are transforming. What is a Teacher?, edited by Dr. Claudia Allums. I recently reviewed this wonderful collection. It is dedicated to the Cowans and includes an essay by Dr. Louise Cowan on Shakespeare’s “Tempest.” This book is absolutely vital to teachers and teachers of literature. It includes essays on Greek drama, Dickens’ Hard Times, Dostoevsky’s Brothers Karamazov, Faulkner’s Go Down, Moses, and more. It is always good to find help when you are lost. This year, I am teaching World Civilizations. This is a college credit course and a worthy study. The only problem is that although I have a degree in history and sufficient graduate hours to teach it on a college level, I am lost. My career has been spent teaching American History and Western Civilization. Give me a decade and five minutes and I can teach an American history class, possibly without resorting to books or notes. Give me a century and an hour and I can teach a Western Civilization class possibly without resorting to notes. I would be a bit shaky on some centuries in the Middle Ages without a few prompts. But there are some centuries or decades I could teach an entire course on. This is not bragging. It is simply a fact based on 34 years in the classroom and more years than that reading and studying. But world civilization has been putting me in ancient China, India during the Harrapan period, Meso-America long before Columbus or even the Aztecs, and Oceania. But learning is fun, and learning involves repentance. I am struggling to catch up on great swathes of history that I have neglected or did not know existed. 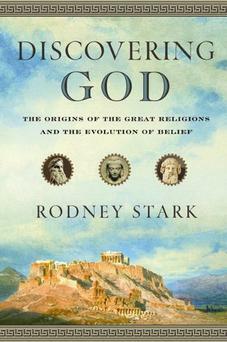 The idea of focusing on religion drew me to Rodney Stark’s book Discovering God: The Origins of the Great Religions and the Evolution of Belief. I got this book some years back for Christmas, but had never read it. Before then, I was avidly reading all of Stark’s books I could find. This one seemed harder and less appealing to my interests, so it went on the shelf. For my current class, this book has been full of gold and silver. I find many points that Stark makes unconvincing, some strongly objectionable. But overall, the book is incredibly informative and at many points very brilliant. I just wish I could find several other similar titles on World History that would be as useful in supplementing my reading. More reading and a review of John Frame’s Systematic Theology is overdue. I have long enjoyed his writings and teachings. But he has written quite a few very hefty and heavy books. Many of them I start or read portions of. Now, he is publishing a series of shorter writings. 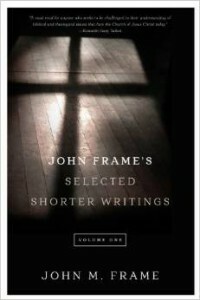 John Frame’s Selected Shorter Writings, Volume 1, is published by P & R Publishing. These essays range from a few pages to several dozen pages. As always, Frame is informative, very even keeled, and Biblical. Frame fans will enjoy “Twenty Five Random Things Nobody Knows About Me” along with the 100 books that have most influenced Frame’s thought. These essays combine some good theology, good commentary on Christian issues, and exhortations. I recently wrote two articles about Flannery O’Connor. They can be found here and here. The research was lots of fun. I dug through through a biography of O’Connor (which rebuts her witty statement that no one would write a biography of someone who lived between the house and chicken yard). I pulled a couple of books about O’Connor’s writings down and read from them. Best of all, I got to go back over portions of her book on literature, Mystery and Manners, and over some of her letters. This prompted me to read a book I got last December. (I think it was a Christmas present from me to me.) This, the latest book by O’Connor, is a journal of prayers O’Connor kept from 1946-1947 while at the University of Iowa. The prayers cover some 40 pages of this well-done book with a facsimile of the journal covering another forty pages. These prayers are quirky, inspiring, and painfully honest. One rejoicing when reading her saying, “Please let Christian principles permeate my writing and please let there be enough of my writing (published) for Christian principles to permeate.” Praise God, He answered that prayer. O’Connor is probably the best Christian short story writer of the age. Yes, Flannery O’Connor was a Catholic, and her Catholicism seeps in here and there. But it is interesting, she is, via her thoughts, praying to God, not to saints. She has a communion with the saints, which all us Apostle Creed reciters have, but not a reliance on them. This is a delightful book. So is the one by Presbyterian theologian John Frame and the one by Baptist sociologist Rodney Stark.